And get unlimited access to this gym and 1472 others. Please note that your Pass allows you access to the gym only, if you would like to Swim or attend one of the Studio classes please enquire at reception for additional pricing details. 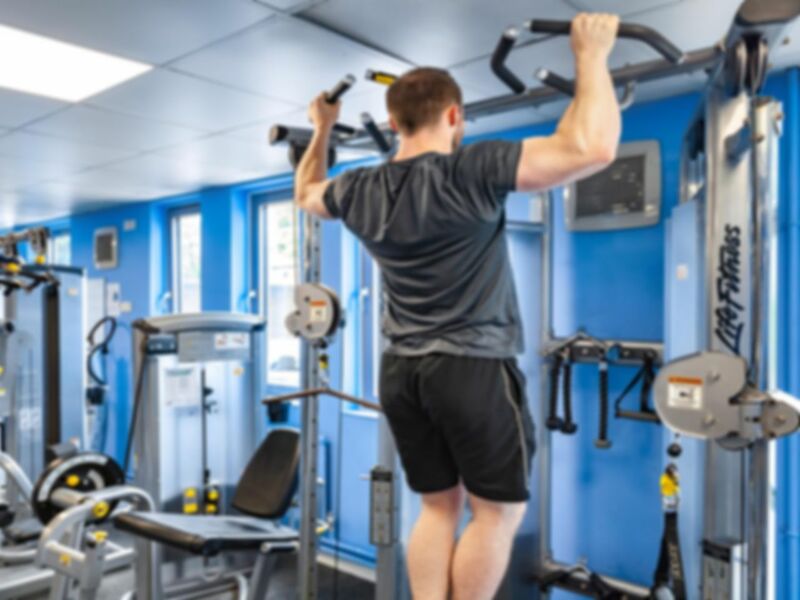 Teddington Pools & Fitness Centre, run by Richmond Upon Thames Borough Council, adopts a customer-friendly approach to help you realise your fitness goals, whether you are a beginner or an experienced trainer. The fully equipped gym houses the latest Cybex cardio equipment including treadmills, rowers, cross trainers and more. A small selection of brand-new resistance machines is available as well as a weights area. Here there is a range of free weights as well as weight machines with mirrors on the walls to ensure you have good form. Take a dip in one of the best swimming pools in London, a 25 metre short course racing pool that is perfect for fitness swimmers. You can even relax in the Hydrotherapy pool of take lessons in the smaller learner pool. Swimming is not included in the pass price so please check with reception for additional costs. If you’re looking to workout in a more social environment then choose from one of over 40 group exercises classes per week. From favourites such as Zumba, Pilates and Yoga to Insanity, Aqua classes and Tai Chi you’ll be sure to find a class that’s perfect for you. Please check with reception for information regarding additional costs and booking requirements. Teddington Pools & Fitness Centre is on Vicarage Road in South West London. You can reach the centre with South West Trains which stops at Teddington rail station, just a couple of minutes away. You can also get to the centre via bus with routes 281 (Hounslow - Tolworth), (Heathrow Airport – Kingston Upon Thames) and R68 (East Molesey – Hampton Wick). Parking is available on site but charges do apply, please check the signs at the centre. Nice gym, not the biggest though. Pleasant gym which isn’t too busy. Relatively modest gym but decent range of equipment and weights. Equipment not top of the range but this reflected in more reasonable price. For most gym users they’ll have most of what you need. Reasonable level of equipment and not too busy with helpful staff. Shoddy gym that's very small and dated equipment. Good experience, its good to not have to worry about being out of town and having to sign up to a new gym for limited time.